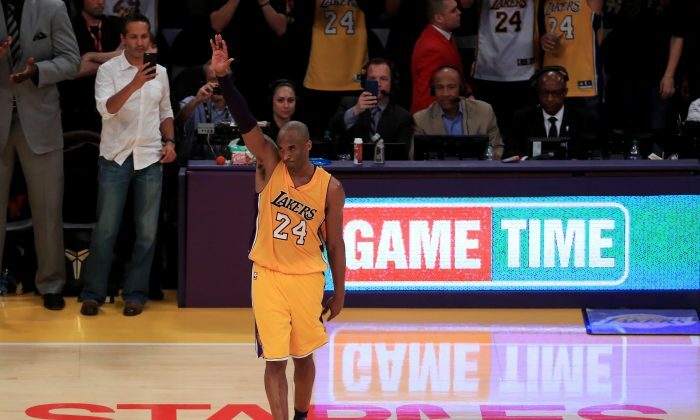 NBA superstar Kobe Bryant’s final career game was Wednesday night. And while the Lakers had all kinds of Kobe merchandise for sale, there was one thing they might have overlooked selling—a bag of air from the game itself. Thankfully, someone on eBay had the good sense to collect the air from Bryant’s final game at the Staples Center in Los Angeles, put it in a sandwich bag, and sell it on eBay. Incredibly, the item reached $15,000 by Sunday morning before being abruptly removed. Twenty-five percent of the profits of the air from Bryant’s final game would have gone to support St. Jude’s Research Hospital, which may have helped the bidding. Or else there are just a lot of “Mamba” fanatics out there who will pay anything for a useless, not even visible, piece of history—wrapped up in a sandwich bag. Bryant’s final game was certainly a memorable one—with or without a bag of air to memorialize it. The 37-year old scored 60 points on 22-for-50 shooting, which were the most shots taken by a player in more than 30 years, as the Lakers came back to beat the Utah Jazz 101–96. The 18-time All-Star, two-time scoring champion, and former MVP finished his career with 33,643 points—the third-most in the history of the NBA. He also won five championships in his 20 seasons with the Lakers.